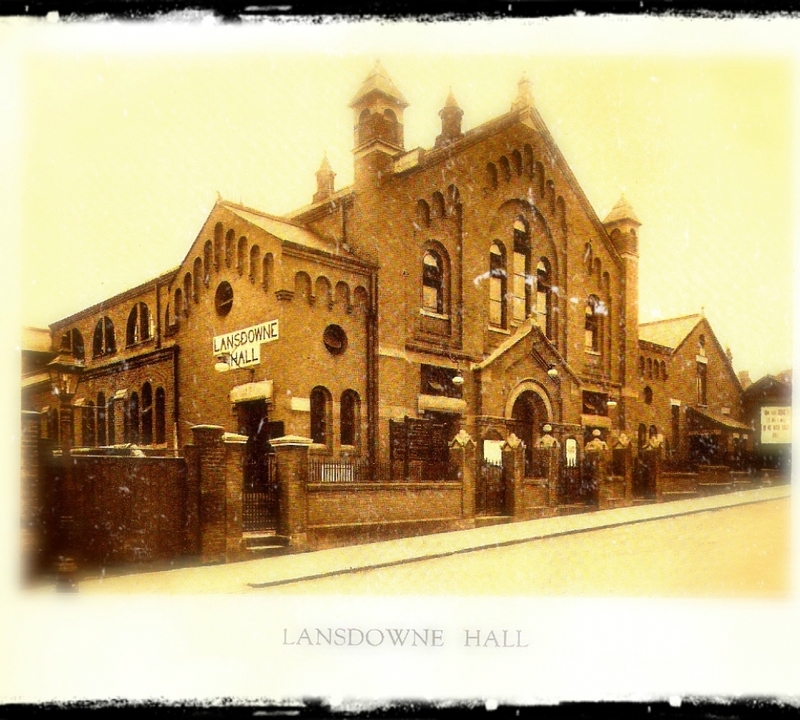 Lansdowne Evangelical Free Church came into being in 1892. 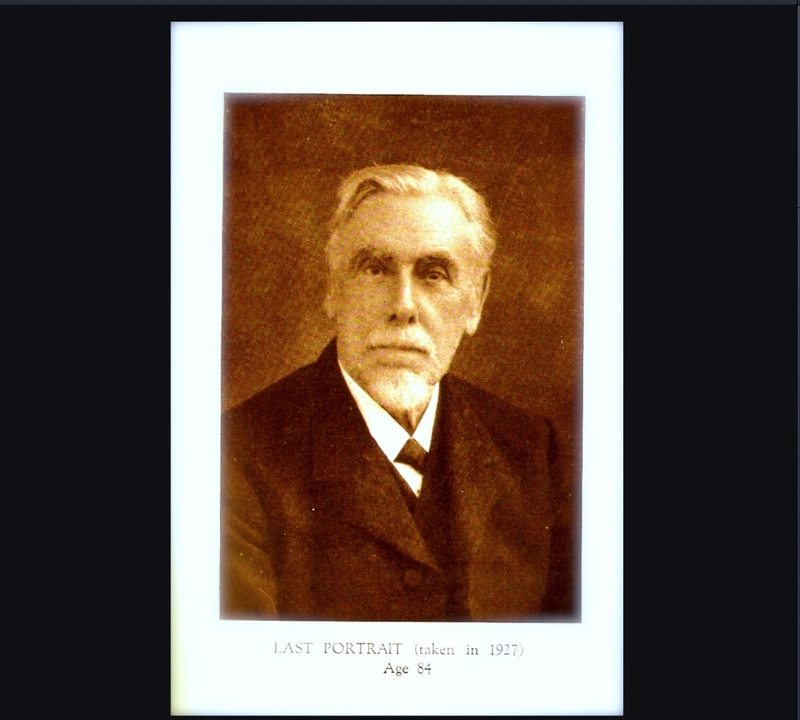 In that year William Fuller Gooch resigned as pastor of another local church. He did this on account of a strong conviction. This conviction was that denominationalism as such damaged the unity of the Church of Christ and threatened its witness to revealed Truth. He believed that the pointed saying, “In essentials, unity; in non-essentials, liberty; in all things, charity,” should be lived as well as admired. With Spurgeon he felt that there were denominations enough and that “if there is a new denomination formed, the thieves and robbers who have entered other gardens walled around would climb into it also, and nothing would be gained”; but “Churches which are each self-governing and self-determining . . . can find their own affinities without difficulty, and can keep their own coasts clear of invaders”. 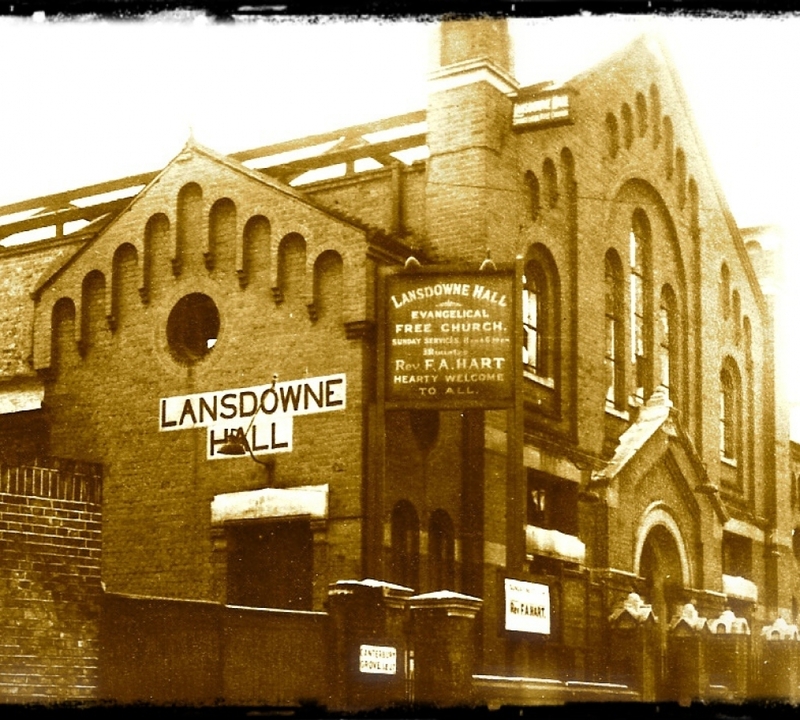 Lansdowne may be said to have come into being as the result of four convictions held by the founders. Firstly, they rejected the generally accepted idea that different views on secondary points among true believers, should lead to separate and rival denominations. Even though these denominations may generally recognise others as belonging to Christ, this falls far short of what should be acceptable. Secondly, they were firmly persuaded that the adoption of human names, and even Divine ordinances, as denominating the people of God, is contrary to the New Testament rule and destructive of the true spirit of Christ. Thirdly, they were convinced, after reviewing the scriptural teaching on the subject, and of the whole course of Church history, that the direct leading of the Holy Spirit is on the side of non-denominational methods and principles of action. Fourthly, they believed, in accordance with this, that denominationalism as a system is one of the great barriers in the way of the progress of the Gospel, a great stumbling block in the way of many to spiritual things. In 1892 William Fuller Gooch, who had been the pastor of Chatsworth Baptist Church for 14 years, resigned on account of the convictions described above. 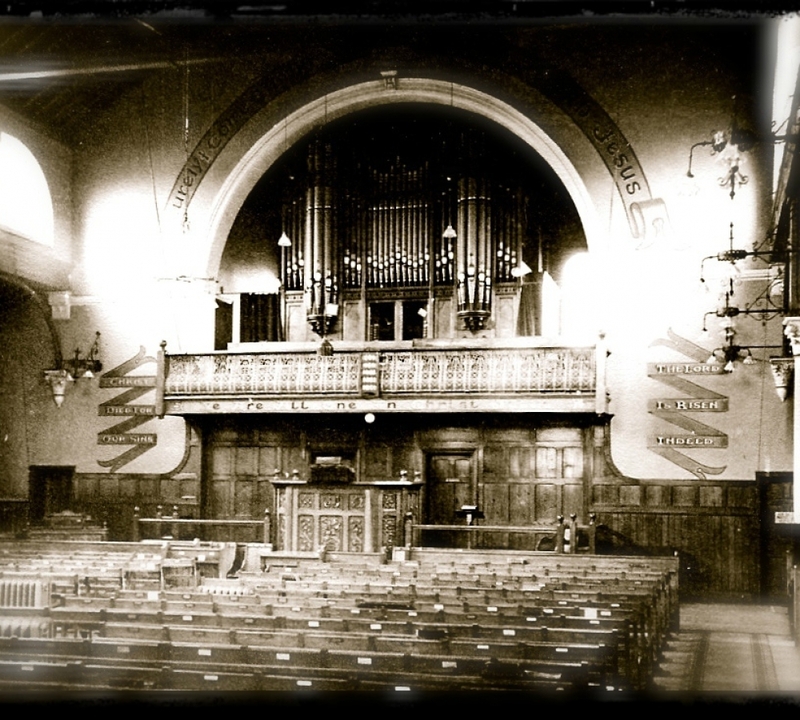 As soon as his action was known, a few friends met together in prayer to God and were subsequently led to ask Mr. Gooch to initiate a church in West Norwood on a non-sectarian basis. After much prayer and after consulting others, he agreed to do so. Five brothers: Messieurs Bagster, Baker, Elliott, Morrison and TyrelI, met with William Gooch and unanimously agreed to the basis on which the church should be founded. At a meeting on the 4th May 1892, the principles and methods having been outlined and agreed upon, about forty people expressed their desire to launch the new venture. Use was obtained of Bethel Chapel, Elm Grove, for weeknight services and of the Public Hall for Sunday use. The first service to be held was a special prayer meeting on Saturday 7th May 1892, the first Sunday service taking place the following day. The first Communion service was on Sunday morning, 15th May, when one hundred and thirty people were received into membership. The Lord’s blessing was at once evident. Congregations steadily increased, as did the membership of the church, mainly by new converts. 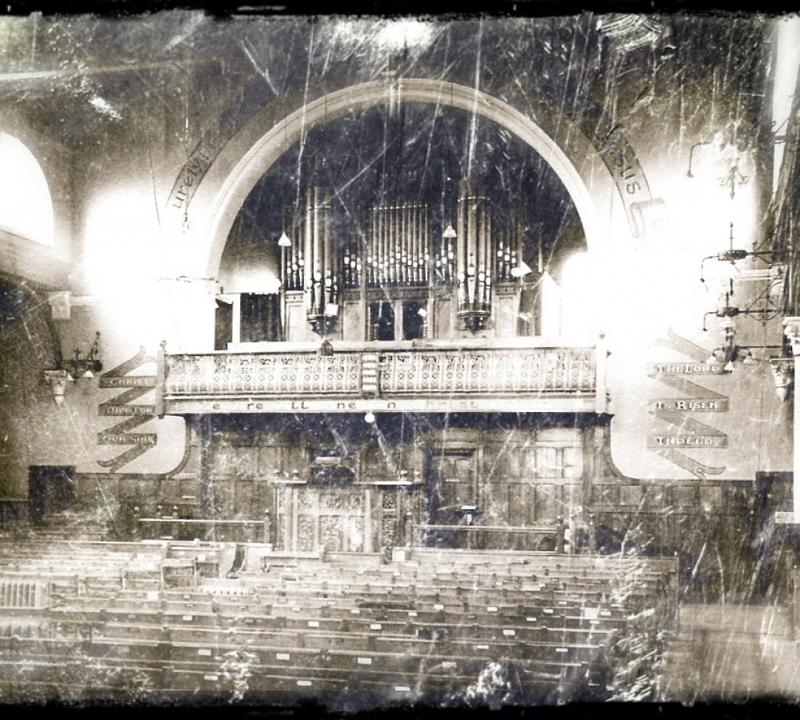 To meet the growing needs of the church a part of the present site was purchased and an Iron Hall built to seat 900 people. This new hall was opened on the 12th April 1893, with a special meeting for praise and thanksgiving. The property was handed over to trustees for the use of an assembly adopting intact the Basis and Constitution set out in this handbook. In 1897 additional land was acquired for the erection of the Lecture Hall, now known as the Fuller Gooch Hall. By 1906 a thousand members had been enrolled (twelve of whom had received the call of God to the foreign mission field). 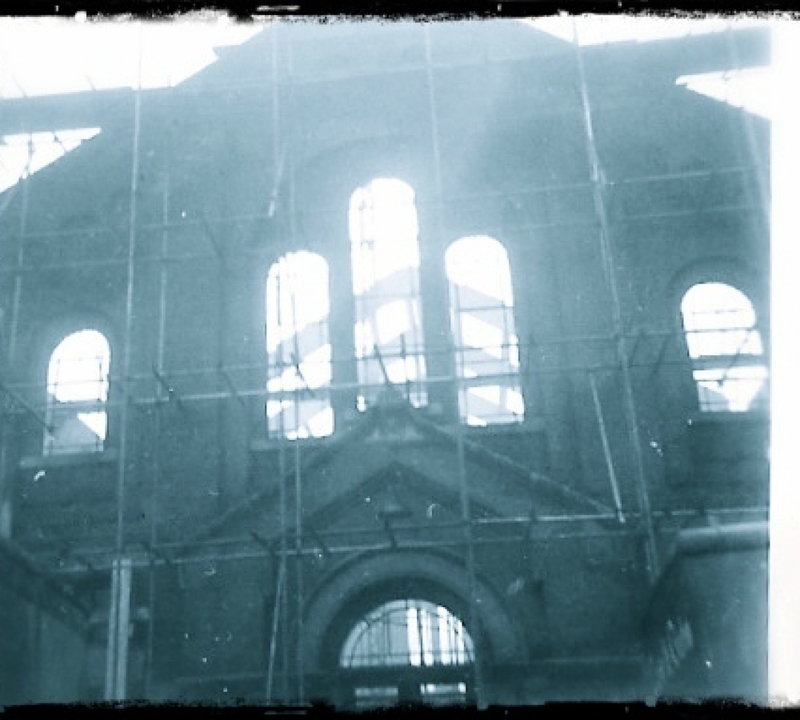 A permanent building had become an urgent necessity, and on the 7th March 1907 the building which, in its restored form, we know today was opened for public worship. Those taking a leading part in the original opening services included Sir Robert Anderson, Dr. A. T. Pierson, Bishop Hasse of the Moravian Church, and the Vicar of Christ Church, North Brixton. During an air raid on the night of 25th March 1944 the main church building was destroyed by fire, leaving only the walls intact. This main building was restored and re-dedicated on 22nd November 1952. Fellowship with local churches in the area has continued over the succeeding years. Combined prayer meetings and outreach events, such as Christmas and Easter open-air meetings, have taken place. 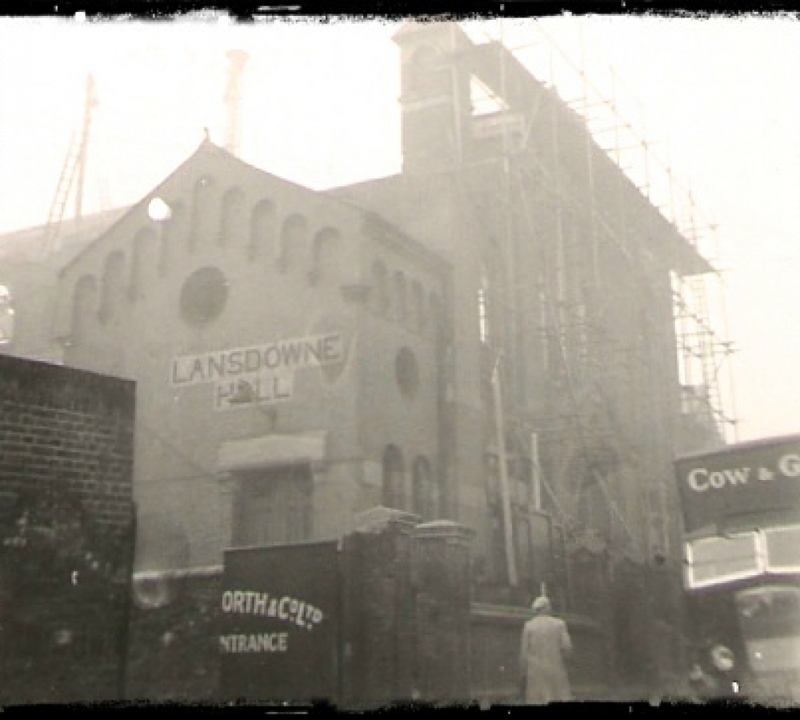 Lansdowne has always had a missionary interest and over the years the Lord has sent out a number of missionaries from the church. We try to support these members in prayer and in practical ways as they work in various parts of the world. It is interesting to note that many of the men who began their ministry at Lansdowne are still in the ministry, serving the Lord in various parts of the country. As well at the FIEC Easter conference, groups of church members have attended Spring Harvest and Stoneleigh weeks for holiday fellowship and have been much blessed. 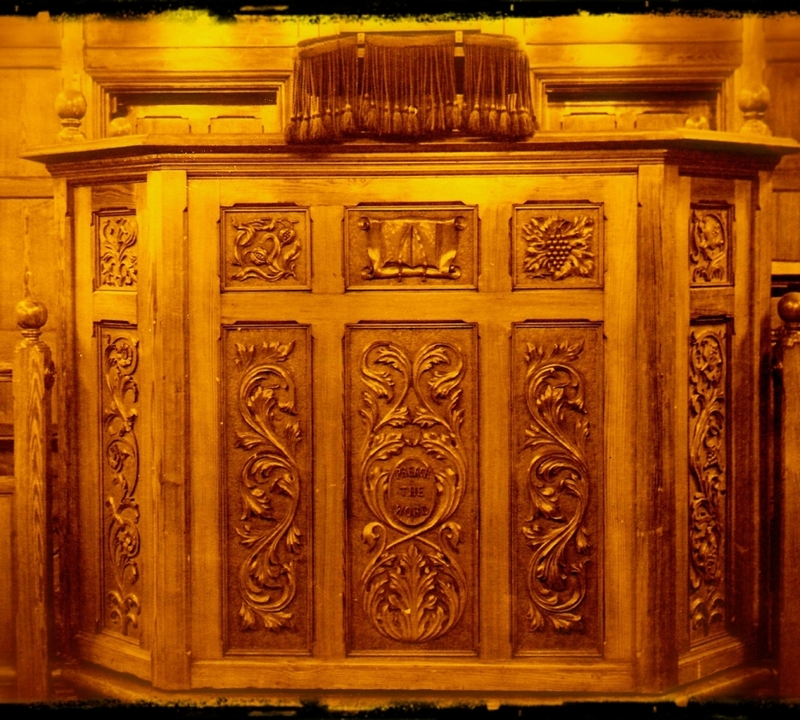 Beginning in the 1990’s there has seen a big improvement in the fabric of the buildings, with the introduction of chairs instead of the old pews and alterations to the worship area and foyer. A new kitchen and crèche, together with a completely refurbished Fuller Gooch Hall have all helped to make the church more flexible in meeting the needs of members and visitors. We are encouraged to see a truly international fellowship at Lansdowne – with members and friends from all over the globe! We give God the glory for all that He has done in the past and pray that He will continue to bless His work here in the future.